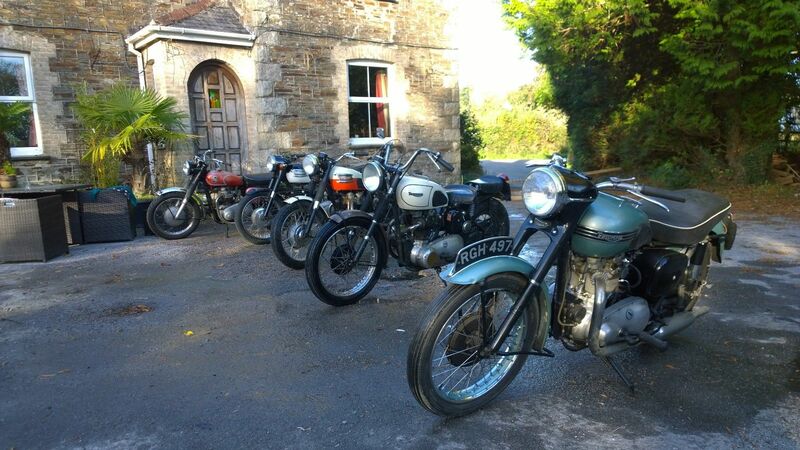 We supply top quality spares for Triumph, BSA and Norton twins and general accessories for most British four stroke bikes. We also specialise in genuine Triumph spares for pre 88 twins. Our spares are sourced from British manufacturers where possible but otherwise we sell only the best quality stock on the market - only parts that I would fit in the workshop myself. WE AIM TO GET YOUR ORDER TO YOU AS QUICKLY AND AS ECONOMICALY AS POSSIBLE we know your builds progression could be waiting for that part you have just ordered from us. We take most major cards either online or by telephone and please buy with the assurance that we are a 100% certified secure payment site (more details in 'Payment'). New stock is being added to the shop continuously and the items we have listed in the shop at present are only a fraction of the stock we hold - please ring if there is something you are looking for that you cannot find here, it is probably in our workshop. I will gladly offer help and advice, sourcing a wealth of knowledge gained over 35 years in the trade restoring and repairing a wide variety of Classic and Vintage British bikes as well as retailing classic motorcycle spares - please feel free to ring on 01822 617010 whatever your question. Please note that all the prices shown include VAT. VAT is deducted at the checkout for non EEC members - please enter your country in the box provided at checkout and the VAT will automatically be deducted from your total.